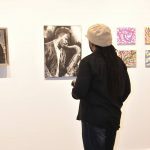 Over a three-hour period, a steady flow of people poured into the Expo68 Art & Design Gallery on Saturday, October 6 to view magnificent art inspired by jazz. 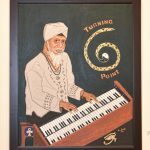 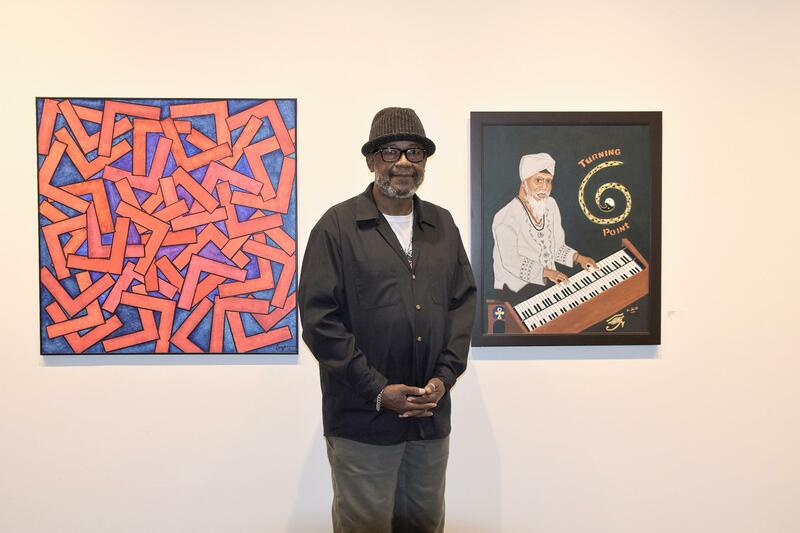 Eleven prominent Greater Buffalo artists drew inspiration from the music of jazz, as well as, personalities in jazz. 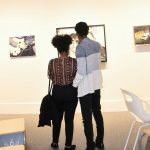 The gathering and exhibition sparked a welcomed spontaneous feeling of community pride. 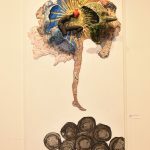 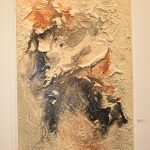 A range of inspiring artworks included photography, paintings, abstracts, sculptures, and three-dimensional artifacts. 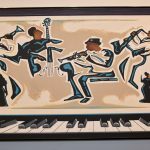 John Baker’s “Jammin In” painting is set on a striking foundation of piano keys. 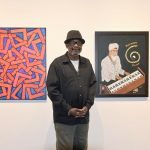 Gerald Seals focused on standout paintings of three Buffalo jazz greats, Dr. Lonnie Smith, Grover Washington, Jr., and Lucky Patterson. 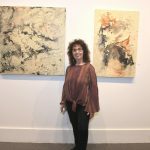 Enid Edleman contributed four abstract artworks that invoke the spirit of free jazz. 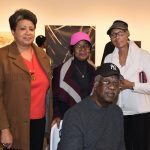 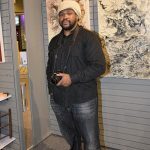 Tim Brooks and Shantelle Patton exhibited artistically arranged photography of jazz-inspired art. 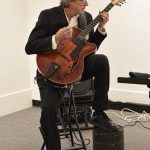 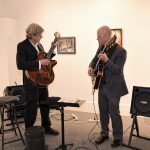 The Lance Tanner Duo, consisting of the stellar jazz guitar duo of Marcus Deveso and Jim Ferrantini, served up attention-getting jazz numbers. 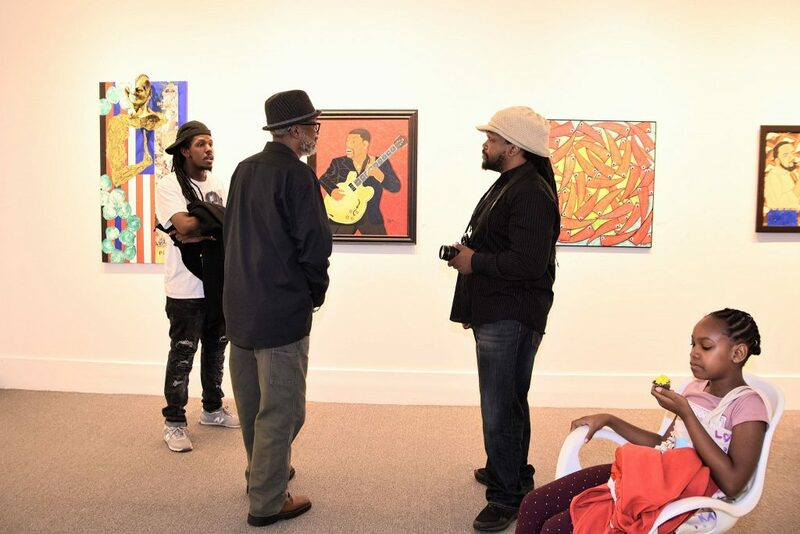 Melding together the sounds of jazz with the displayed artworks of jazz. 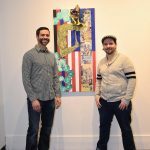 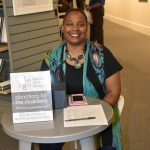 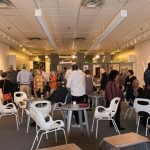 Creating a welcoming community event that brought together art and jazz. 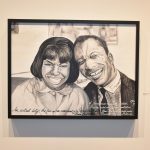 The exhibit, Spontaneous Combustion: Art Meets Jazz, continues at Expo68 through the month of October. 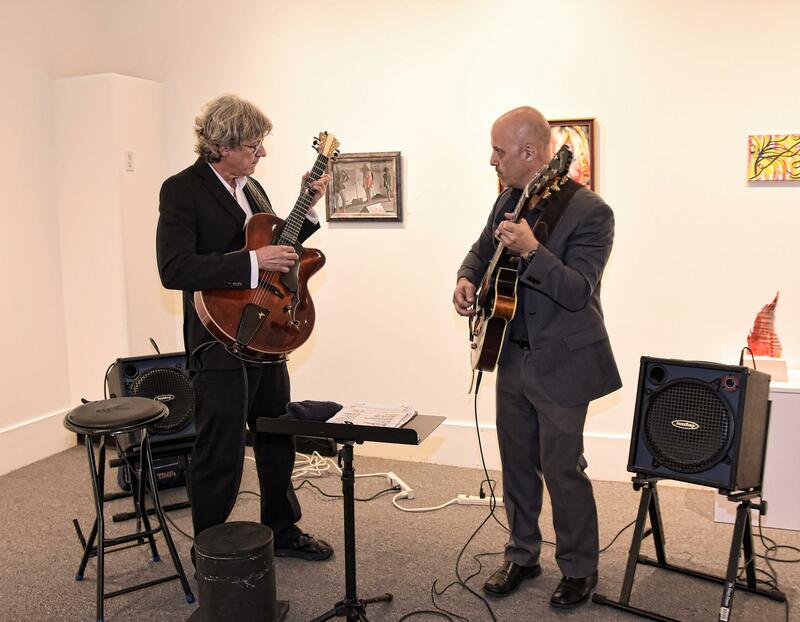 Jazz performances will take place on three consecutive Thursdays (October 11, 18, 25). 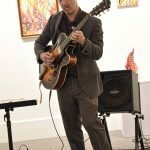 The performances will feature the Greg Millar Quartet, Tim Clarke Soul-Tet, and the Hot Club of Buffalo. 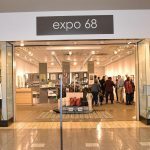 Expos68 is located in the Eastern Hills Mall and is a harbinger of things to come for the planned conversion to a town center. 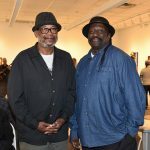 Thursday, October 18 brings together the brother of Grover Washington, Jr., Darryl Washington, with the artist Gerald Seals. 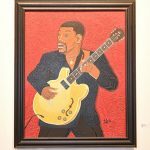 Seals chose Grover Washington, Jr. as one of his subjects to paint. 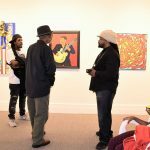 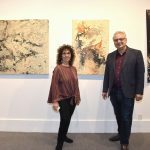 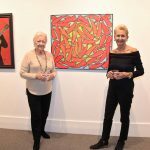 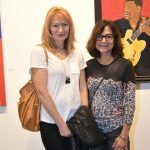 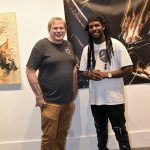 A most special evening for two artists – one a prolific drummer and the other a prolific painter. 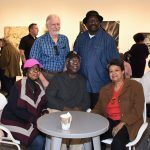 A fantastic community partnering event by Expo68 and JazzBuffalo that celebrates Greater Buffalo pride in artistic endeavors and in bringing our communities together.